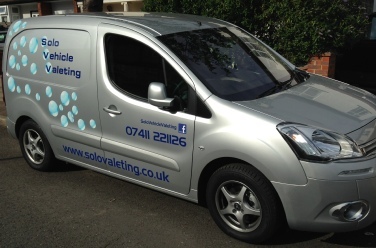 David Glaister, owner of Solo Vehicle Valeting, has been involved with vehicle valeting for over 12 years. He is passionate about his work and in 2010 launched his mobile valeting business following the purchase of a second hand Astra van. As an independent valeter / detailer he is free to select from a range of products to determine which give the best results in order to achieve the high quality service and finish he strives for to bring out the very best in your car. David is an established member of the valeting and detailing community. He gained accreditation from Autobrite Direct in 2011 having satisfied their tough practical testing standards and was one of the first to do so when the scheme was launched. In 2013 he became a member of Pro-valeters and detailers (PVD), a trade association set up to raise the standards of valeting and detailing and provide a site where customers can confidently select an accredited valeter / detailer. There are strict membership criteria which members must adhere to. David has also obtained membership to Checkatrade after meeting their stringent criteria. David is often contacted by other members for advice on various valeting subjects. David has a range of clients including private, business and the automotive trade.